Chanti’s passion is to inspire students to find their creative Self through movement, effortlessness and sadhana. She has been studying and teaching yoga in the Tantric Hatha Linage since 2005 when she was initiated by her teacher Yogarupa Rod Stryker, founder of ParaYoga. Chanti has studied the art of Restorative Yoga & the practical applications of yoga therapy with Judith Lasater and studies Sacred Art with Mavis Gewant and Pieter Weltevrede. 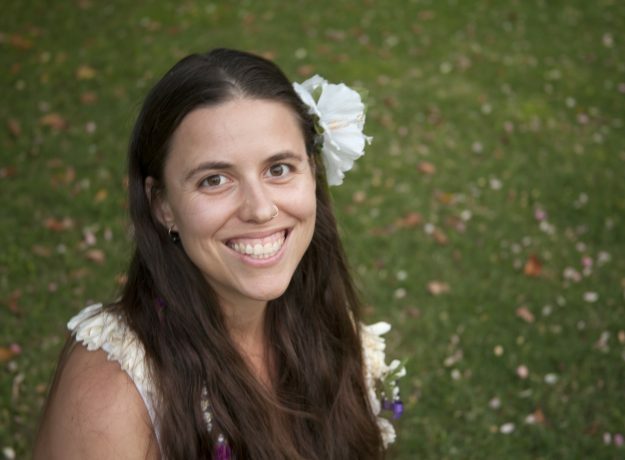 A part of her mission is to aim her creative force to co-create sacred communities in her workshops, retreats and intensives as well as facilitating online courses and private sessions. Chanti has recently completed her Masters at Pacifica Graduate in Humanities with an emphasis on Depth Psychology. Chanti is a guide in weaving the practices of Tantra, Yantra painting, Depth Psychology and ritual; she mentors students to awaken to their most purposeful, creatively-engaged life.